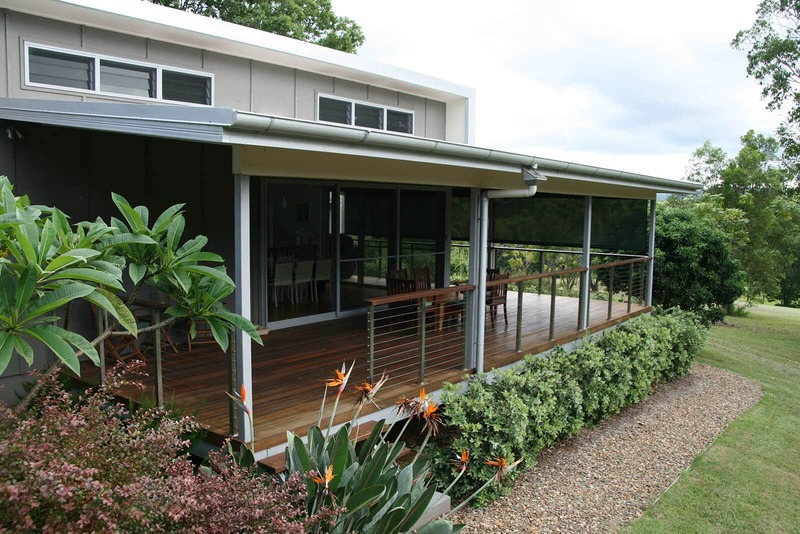 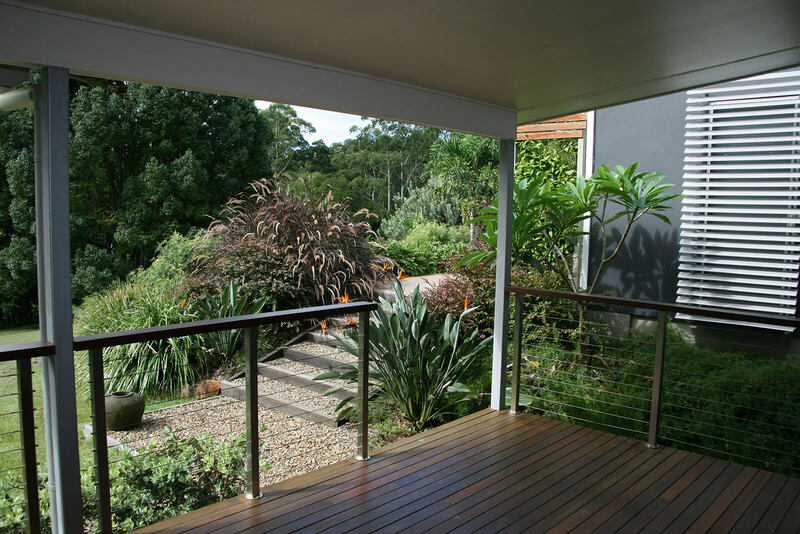 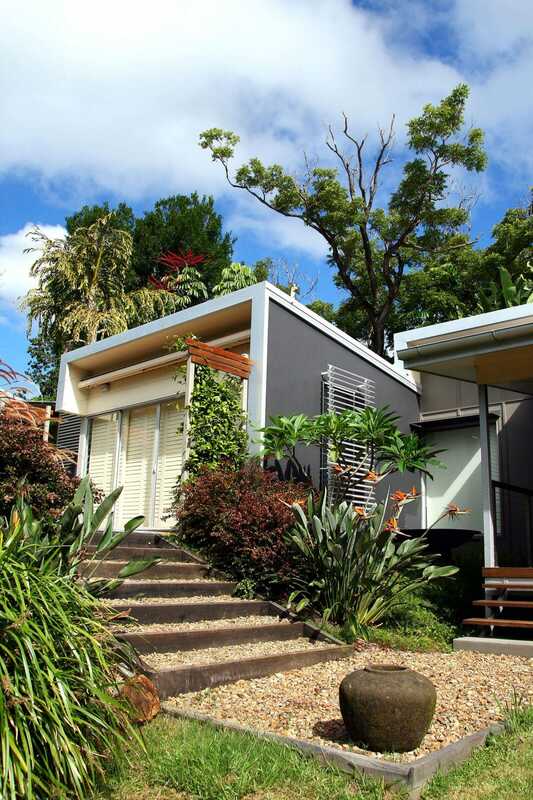 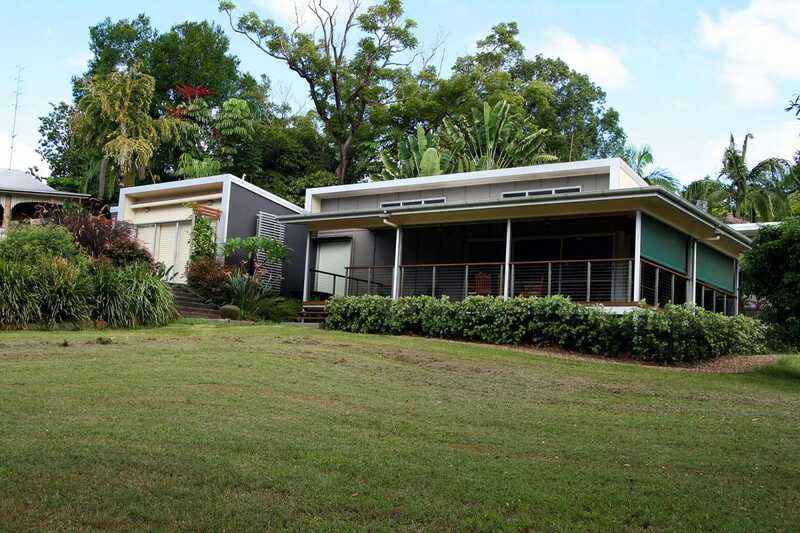 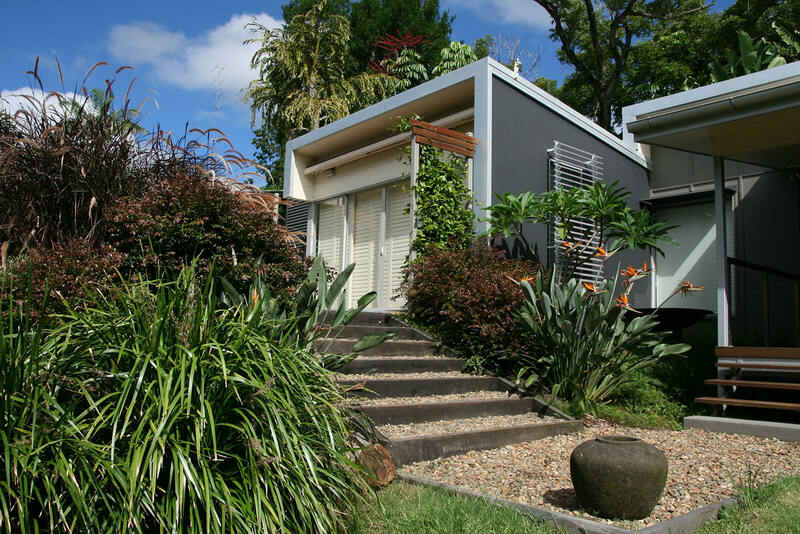 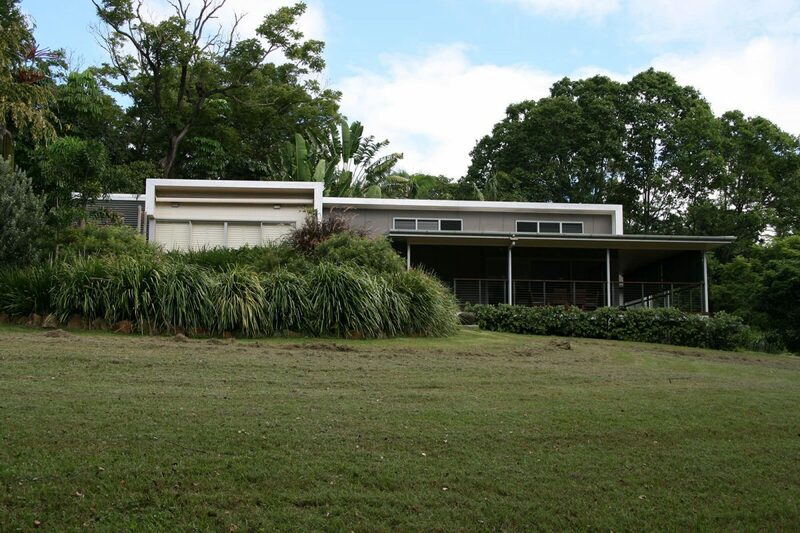 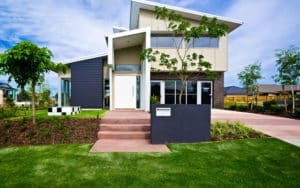 "The owners wanted to enjoy the rolling landscape and natural setting that surrounds this home on the Sunshine Coast." 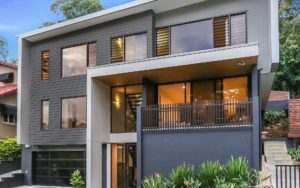 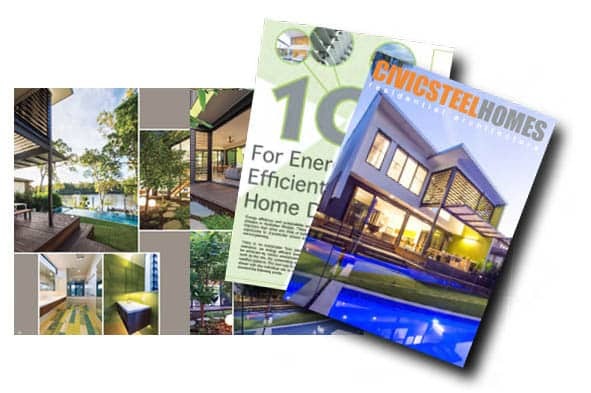 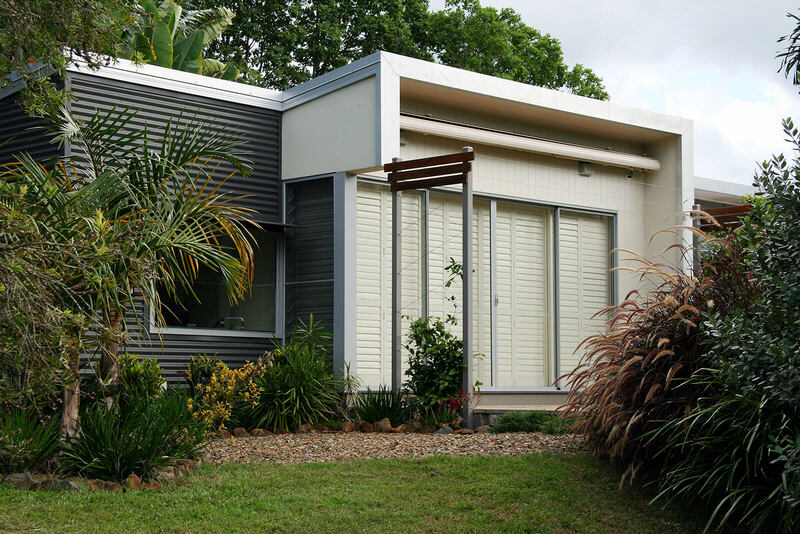 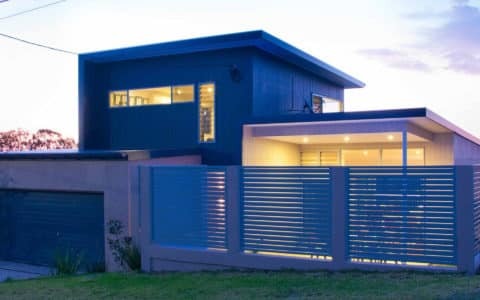 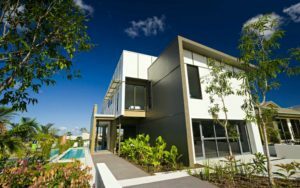 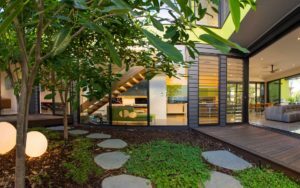 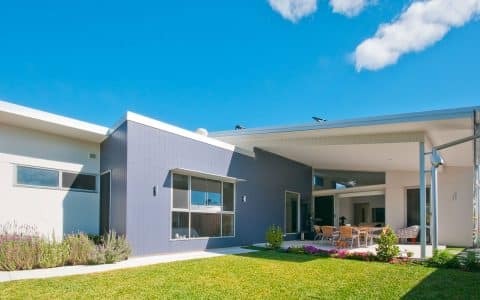 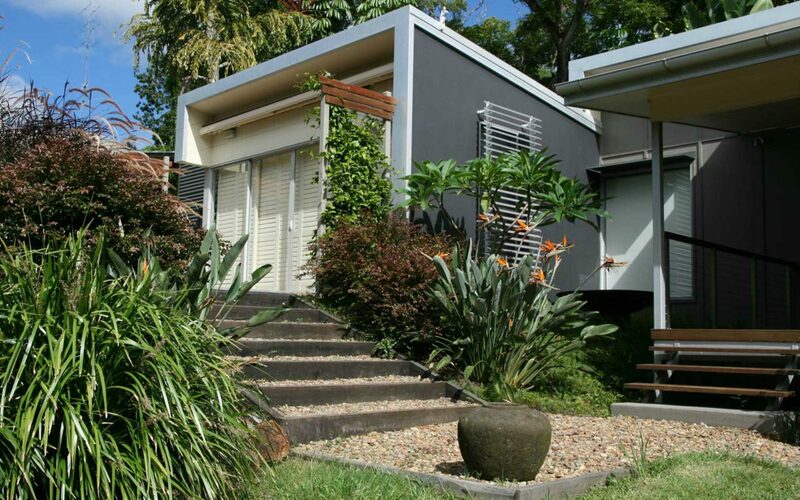 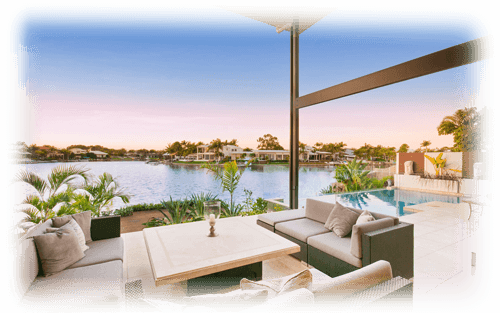 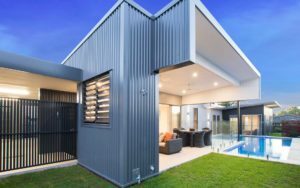 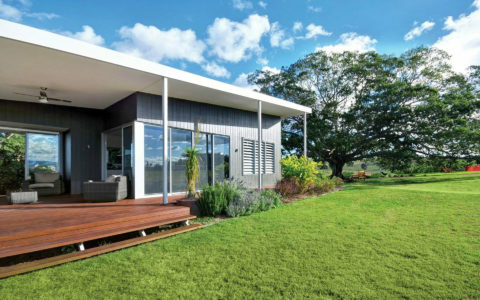 In this case the architecture is a combination of simple contemporary skillion roofs, blade walls and generous wrap-around decks; all ideal for outdoor sub-tropical living. 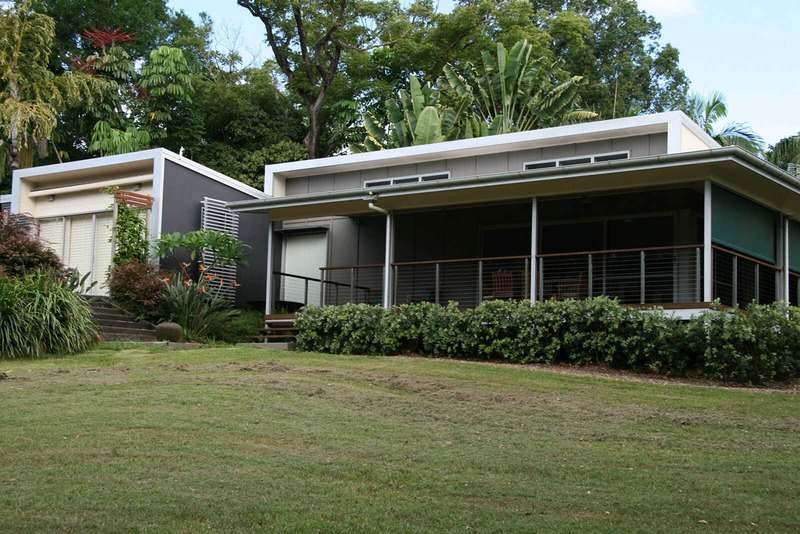 The aim was to site the home comfortably on the slope, rather than to excavate; to make the most of all prevailing breezes, rather than to air-condition; and to provide lightweight materials and colours that work with the surrounding landscape.